Cardiff City have been placed under a transfer embargo by the Football League following a breach of Financial Fair Play rules. The Bluebirds become the fourth Championship club currently under a transfer embargo, joining Bolton, Fulham and Nottingham Forest. Cardiff say they "have complied with the FFP requirements for season 2014-15 - contrary to the League's position." A Bluebirds statement added: "As such, further advice will be sought, prior to a decision being made internally as to whether or not an appeal will be lodged." Last season's Championship clubs had to submit their FFP returns by 1 December and a maximum loss of £6m was allowed, subject to certain deductions. But BBC Wales Sport understands Cardiff exceeded the limit as owner Vincent Tan turned £13m of debt to equity, as well as investing a further £3m. Cardiff's accounts are to be published in March and chairman Mehmet Dalman says they will show a profit for the year to June 2014. The club's statement added: "Whilst extremely disappointed that the Football League has decided to take this action, we will remain co-operative and compliant with the League's position in respect of FFP. "Cardiff City Football Club again expects to trade within the set FFP limits for 2015/16 and therefore anticipates full participation in the summer 2016 transfer window." It is the second time in six years that Cardiff have had such a sanction imposed upon them. Asked why the club were being hit with a transfer embargo, Dalman replied: "It's a very technical answer to that question; we have actually been in dialogue with the Football Association for the past ten days to two weeks. "Unfortunately in a meeting where different interpretations were applied, they (the Football Association) have come up with the conclusion we haven't complied (with FFP). "We are disappointed. We will look into it and will consider and take advice on an appeal, but within the spirit of the rules the League have put to us." 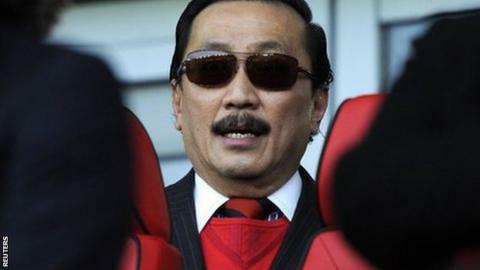 Cardiff, owned by Malaysian businessman Tan, lie ninth in the table.